How Hybrid Cloud NAS(Network Attached Storage) is changing the way storage is managed? Delivering greater performance and scalability to hybrid cloud infrastructures, a hybrid cloud platform provides the flexibility to integrate the existing NAS architectures with Amazon Elastic Cloud Compute (Amazon EC2) and Amazon Simple Storage Service (Amazon S3) without relinquishing execution. 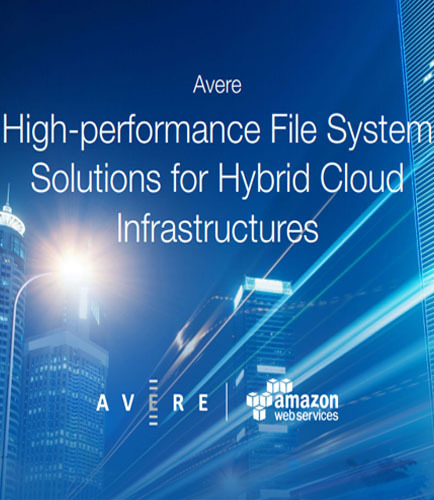 With ongoing development of file system and caching technologies, this white paper explains the advantage of bridging the AWS storage and compute cloud services to strategically leverage cloud compute, storage, or both. This Virtual Edge filer (vFXT), a software-only file system bridges AWS storage and compute cloud services giving the ability to strategically leverage cloud compute and storage efficiently. To make the sustainable decisions to manage the growing demands of unstructured data, this agile cloud NAS together with AWS helps in simplifying big data storage and management while gaining performance and value from storage. 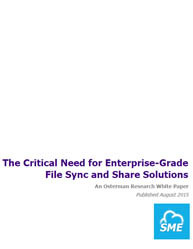 This whitepaper addresses the following questions: How to manage the increasingly complex enterprise data storage? How to get faster and more accessible data using a hybrid cloud NAS? What are the features and advantages of this hybrid cloud NAS? How can organizations leverage Amazon Web Services (AWS) public cloud and this hybrid cloud NAS platform? How can a File Fabric help with maintaining The General Data Protection Regulation (GDPR) compliance? The aim of the new GDPR regulation is to 'give back' control of personal data whilst additionally simplifying the regulatory environment for business. 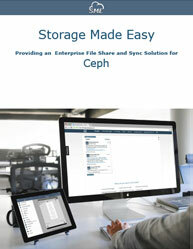 The Storage Made Easy File Fabric is an on-premises/cloud hosted, private/hybrid software solution that acts as a unification hub for data access, data sharing, and data governance. File Fabric helps with GDPR compliance through services such as identity management, access control permissions, auditing access to data, encryption, data policies, application integrations, legacy applications, data audit watch, secure file sharing, and data discovery. 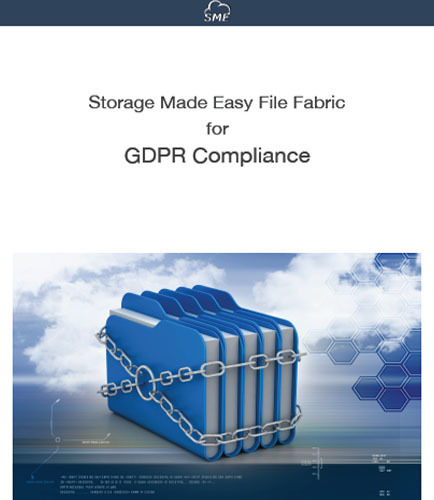 The File Fabric solution discussed in this white paper can be used by companies to help comply with the forthcoming GDPR and this white paper steps through some of the ways this can be done. Read the following white paper to understand: What are the consequences of not complying with GDPR? What are the steps involved in implementing a GDPR strategy? How does the file fabric help with GDPR? 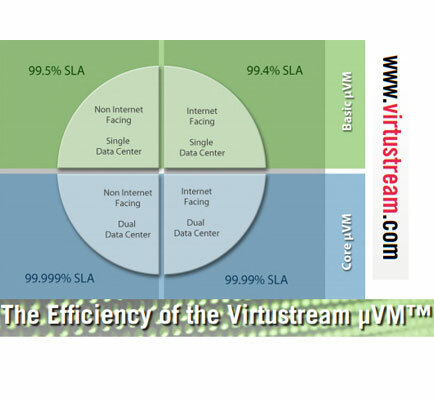 Are you certain your file data environment is being managed in the most efficient way possible? 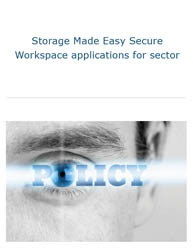 How is it possible to make your file data storage twice as efficient, resulting in reduced costs and complexity? A new approach entitled File Data Management (FDM), provides the ability to understand, manage, monitor and secure stored file data across the entire data storage environment, down to individual users and files, regardless of platform, location, or brand. In other words, File Data Management (FDM) is the storage category that addresses the management of file data. 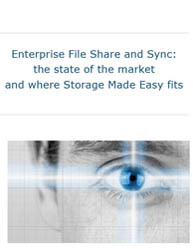 The traditional storage resource management (SRM) category does not focus on the “big picture” – managing the files. It focuses on the infrastructure to store files, but not the files themselves. What are the steps in implementing a File Data Management plan? Download this whitepaper to learn more about File Data Management and how FDM can be used to gather the information you need to gain insight into your storage environment and formulate a better management plan for your file data. 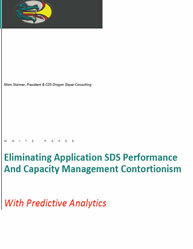 Let’s face it- Storage Performance Evaluation is an arduous task!! 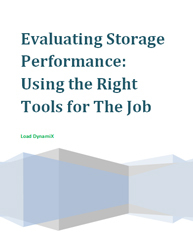 To profile and analyze storage performance the testing tools should not only be “good enough” for smaller, on-off tests, but should also accurately measure when requirements scale and the workload becomes more complex. 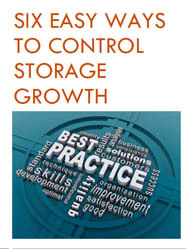 Key take-away from this whitepaper on Storage Performance: Storage Performance Analysis: Learn how to conduct storage network performance analysis to troubleshoot and fix storage network problems Storage Performance Testing Tools: Learn how to accurately measure storage performance metrics in your data storage system Storage Architecture: Learn how to evaluate the performance of customers’ storage systems with a proper storage architecture Download this informative whitepaper on “Evaluating storage performance: Using the right tools for the job” to understand how proper storage performance testing tools can evaluate the efficiency of your enterprise data storage resources in terms of capacity utilization, storage performance and data protection.